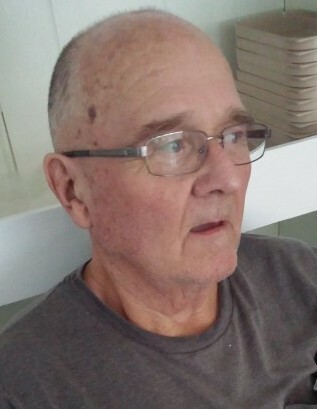 David F. Pepper, Sr., 68, of Carrollton, KY, died on Friday evening, November 9, 2018 at his residence in Carrollton. He was born on September 22, 1950 in Ewing, Fleming County, KY, the son of the late Clarence Robert Pepper and Violet Marie Fields Pepper. He was retired from the State Highway Department as a Assistant Foreman and Heavy Equipment Operator. He was a member of the Carrollton Wesleyan Church. He is survived by his wife, Deborah S. Tumey Pepper of Carrollton, KY, his two sons, David Pepper, Jr. of Carrollton, KY, and Gordon (Susan) Pepper of Ewing, KY, a sister, Freda Waggner of Dayton, OH, a granddaughter, Breanna Fugate and a great grandson, Hayden Fugate. He was preceded in death by his parents and a brother, Clarence Robert “Bobby” Pepper.